Here at Scholarship America, we’re committed to postsecondary access and completion. That’s why, in addition to scholarships, we advise parents and students to investigate grants to help pay for college, too. Knowing about and applying for both sources of aid increases your student’s chances of staying in college and receiving that hard-earned diploma. Like scholarships, grants are gift money. They’re the best kind of college aid since they don’t need to be repaid. And, like scholarships, grant money can be renewable based on meeting certain eligibility requirements, such as family income level. Although it’s not always the case, grants tend to be need-based – based on your family’s financial situation – and available to U.S. residents only. To start the grant search, you’ll want to remind your student to complete the Free Application for Federal Student Aid (FAFSA). The FAFSA is used to calculate your family’s Expected Family Contribution (EFC). (Read our previous blog post for more helpful FAFSA information.) 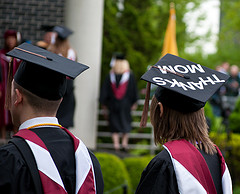 Completing it is especially important for grants, since the EFC directly impacts how a college’s financial aid office determines your family’s need for grant aid. Once the FAFSA’s complete, your student will automatically be considered for federal grants. The Pell Grant is the largest federal need-based grant program, and it’s typically awarded to undergraduate students who haven’t earned a degree yet. Currently, the maximum award is $5,730 for the 2014-2015 academic year. Another need-based grant to be on the lookout for is the Federal Supplemental Educational Opportunity Grant (FSEOG), which is given to undergrads with “exceptional financial need.” Unlike the Pell Grant, which is awarded to every eligible student, the FSEOG is given to a certain number of students based on how much money a participating college receives from the government. Since the money is given to schools in one lump sum, it’s important to apply for financial aid as soon as possible: Once all of the money is distributed, that’s all that’s available for the academic year. While the award is less than the Pell Grant (awards range from $100 to $4,000 per year), it’s still worth investigating – every dollar helps! Another vital resource for you and your student to research is your state’s higher education agency. Often, the agency will award state-specific grants, especially if your student studies in-state. 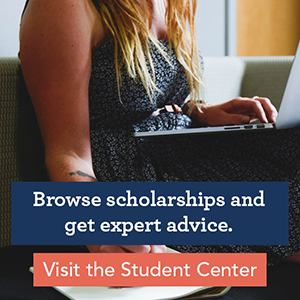 Take a look at Maryland’s Higher Education Commission website, for example – you’ll see both grant and scholarship programs available for Maryland residents. College websites will list grant programs, too. Texas A&M University’s financial aid website provides an overview of available federal and state grants – a common listing on college websites. Having your student ask the financial aid office about grants ensures that they’ve covered their public funding bases – and they may even discover campus grants in the process. Once national, state and school searches are complete, encourage your student to look into private foundations and organizations. These will likely target regional or community students. For instance, the Blandin Foundation in Grand Rapids, Minn., awards $1,000 to $4,000 education grants to county students to study anywhere in the U.S. If your student is nearing the end of their college career, grants can still support their post-graduate endeavors. Fortunately, the term “grant” is broad. It can apply to a variety of audiences, like business owners and nonprofits, and may be used for a range of projects, from scientific research to community service, that go beyond regular schoolwork. The prestigious Fulbright U.S. Student Program is example of a study grant. Recent grads, master’s or doctoral students, or young professionals outline a study or research project they intend to accomplish while overseas in a host country. Whether your son or daughter is preparing for college or is already living on campus, encouraging them to apply for grants could be well worth their while. In a higher education world rampant with student loan debt, seeking out other gift-based ways to pay for college could change your student’s educational future.